The real hike to have here in Amalfi Coast o Sorrento Peninsula. 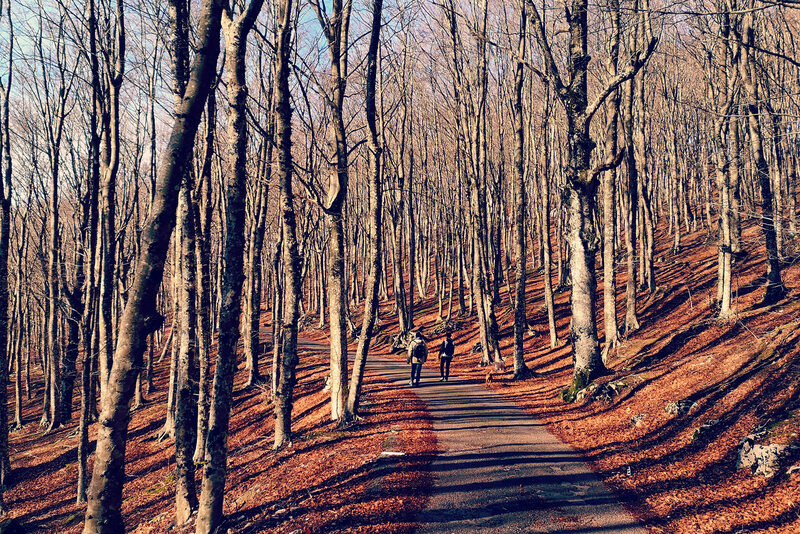 Walk to the top of the Lattari Mountais overlooking the Cost. 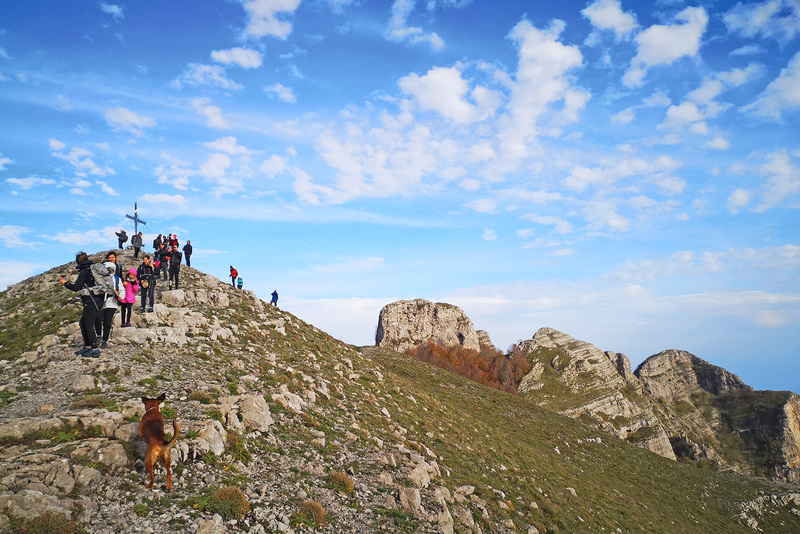 Together with a professional hiking guide, follow the traces of this trail to reach the summit of Mount Molar at 1,444 m above sea level. The route is of medium difficulty, with a length of about 16 km and a 700 m altitude. You walk along easy trails and accommodated, passing for CAI 300 (Alta Via dei Monti Lattari), duly sealed. Departure from Via Locoli in Agerola. The first stretch is along an ancient road that connected Agerola before 1900 to countries in the Neapolitan when there were no two “tunnels”. Climbing is reached “Crocelle” and here you enter the Alta Via dei Monti Lattari. The trail runs through the gorges of the Devil. Legend has it that Lucifer took refuge in these steep cliffs, before it was driven out of San Michele. After this stretch, you climb a small mountain slope (Malo Step) until you reach the junction that leads right to the Monastery of St. Michael. Here we turn left and follow directions for the Water Holy Cave, where the water gushes out of St. Michael source. The trail continues up to a junction where the deviations are marked for “Scalandrone”, not to take. This is a highly dangerous section that briefly connects Faito Paipo. It then continues with a short series of switchbacks up to the base of the molar where there is a detour to the Cross of the Distaff. Take a left and follow the signs to Mount Molar. 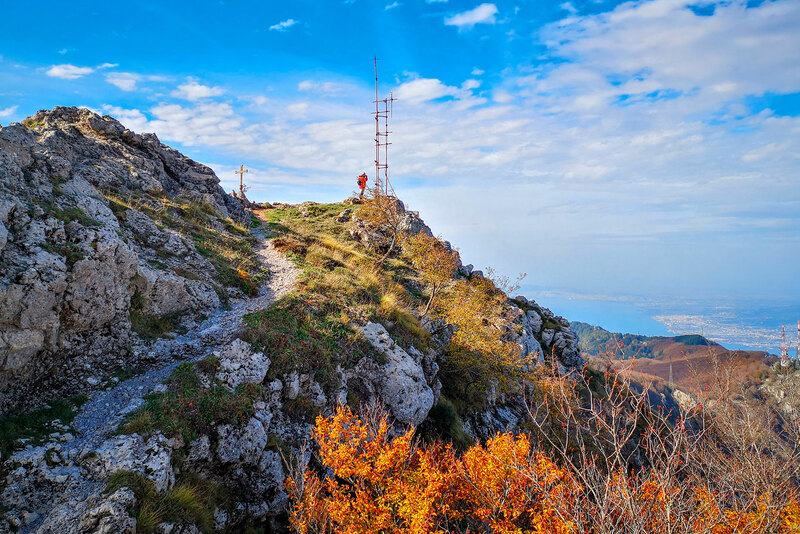 From here the path leads through a steep climb up the stone to the highest peak of the Lattari Mountains, the Molar. reach the highest peak of the Sorrento Peninsula and Amalfi Coast. possibility of reaching the place by public transport (train and cable car)! stop when taking pictures, when you walk focus on your steps - irregular ground ! wear appropriate shoes and clothes, the weather can change quickly ! 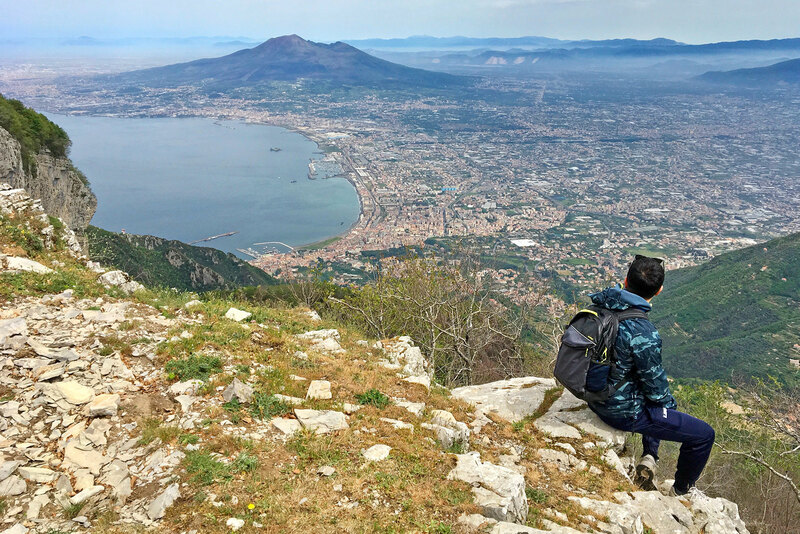 Before to start your hike, or decide to order/buy a full map of the trail, here you can download a single map of the hike around Mount Faito and climb to the top of the Amalfi Coast. If you don't need guide or map to visit Mount Faito, so you can easy upload and follow a track on your smartphone, rembemer to using it only under your responsibility!